You guys!! 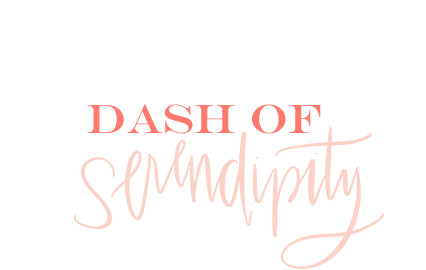 It's the very last day of 24 Days of Dash of Serendipity, which means Christmas is tomorrow! When I first embarked on this journey I was in a bit of a pre-finals haze and really didn't know if I had bit off more than I could chew. Pledging to post every single day for 24 days after a semester of a sporadic blog posting schedule was definitely also a test for myself. 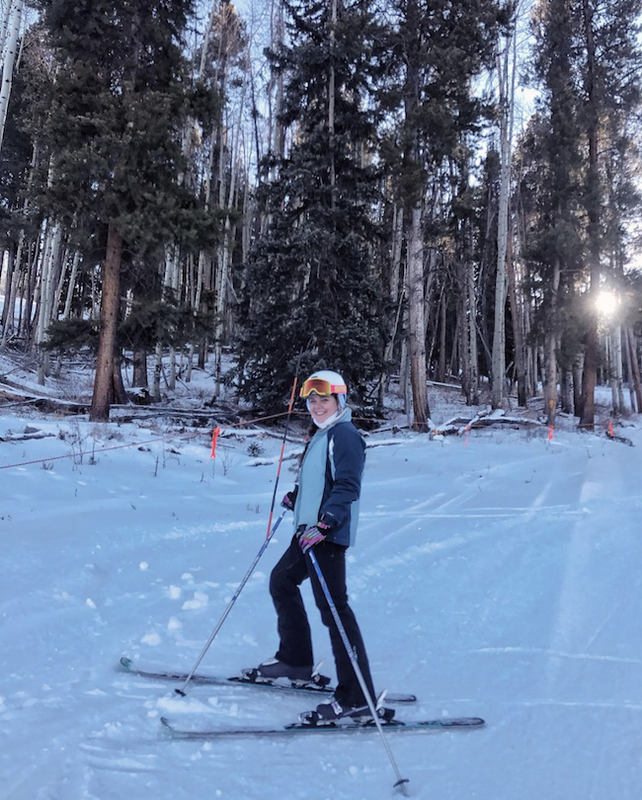 I didn't entirely think through that I would have to write posts during finals, a trip to Colorado, and prep for the holiday season but I am so happy that I was able to get a post up (on time, might I add!) for all 24 days of December!! I had planned on writing up a post about my favorite Holiday appetizers, but that didn't feel like the right note to end this series on. I've also been missing these sort of rambly style posts (like my Friday round-up posts), so for today's Christmas Eve post, I wanted to look back on December and share some personal snaps and stories! 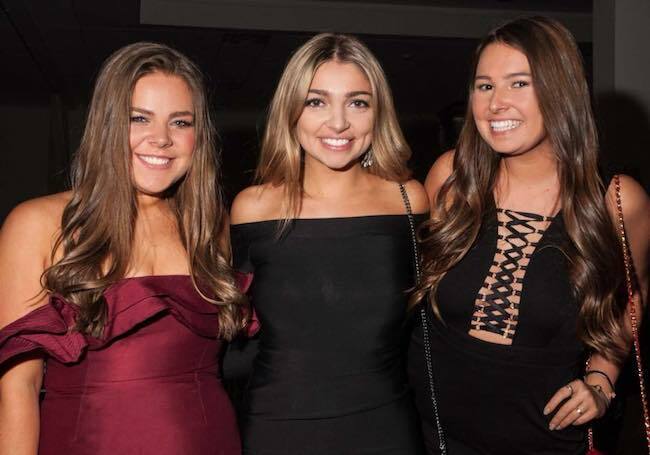 This month started off pretty crazily as I headed back to school from Thanksgiving break to finish up some end-of-semester projects and prepare for my sorority's winter formal! Me (Dress) with friends Donna and Brooke! After finals were over, 9 of my friends and I went to Beaver Creek, Colorado for a few days of skiing. Although there wasn't a ton of snow, there were a few trails open and we all had fun hanging out there and going skiing! Since coming back from Colorado I've enjoyed the quiet time away from school with some Hallmark Christmas movies (can't stop watching them...), catching up with friends, and doing some last minute Christmas shopping. 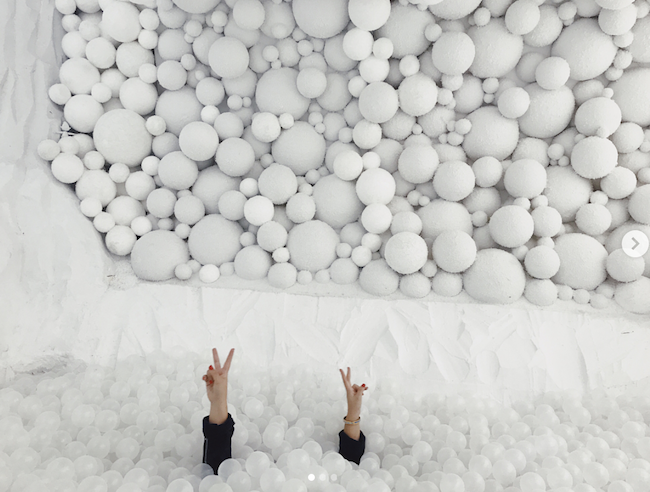 Last week I went into the city with my friends Carl and Hannah to check out the pop up at Google Flatiron. There's a really cool white "snow globe" ball bit at the store as well as a delicious free hot chocolate truck outside where they print your picture onto a marshmallow! It was pretty cool. It's been a fun and crazy busy month that seems to have gone by faster than I expected. I love this time of the year and wish it would slow down a bit because I am not ready to turn off my Christmas music or movies just yet! In terms of posts from 24 Days of Dash of Serendipity, you guys loved the What's on My Friends' Holiday Wishlists post that was super fun to make! 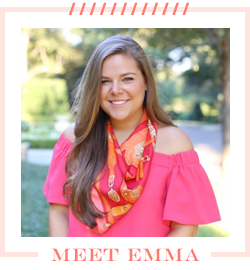 I liked getting to feature my friends and share a little bit about each of their personalities. Hopefully, it was helpful if you were trying to think of things to ask for this Holiday season or get for someone that you know! Stemming from that post, a lot of you seemed to love one of my friends Lindsey's wishlist items, the Burberry scarf. Plus these Vince slip on sneakers that Donna wants! Thank you so much for all of the positive feedback from this December series; it's been fun! I'm excited to do something like it again next year. I hope you are all having a happy holiday and a Merry Christmas if you celebrate. I am planning on taking a quick break and enjoy some time off, but will be back in the New Year with new posts in 2018.